Maharashtra is situated on the west-central region of India. It is the second most populous state and third largest state by area. Mumbai is the capital city of this state. Mumbai & Pune are the educational hubs of this state. Maharashtra has played an important role in the development of the modern & higher education system in the country. This state has a large number of universities and colleges which offer education in various fields. As per the census 2011, the literacy rate of Maharashtra is 82.9 %. 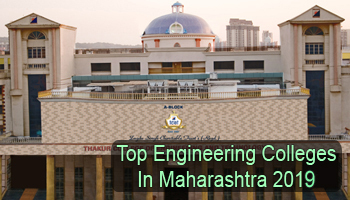 Here we are providing a list of Top Engineering Colleges in Maharashtra 2019. At Sarvgyan.com, we have provided a list of top engineering colleges in Maharashtra for the academic session 2019-20. It includes various reputed engineering colleges like IIT Bombay, NIT Nagpur & various other government & private colleges. These colleges offer engineering courses in various specializations. This list has been created after a deep analysis on various important factors. The colleges have been rated on academic excellence, quality of education, national importance, infrastructure & facilities provided by colleges, placement records, student’s preferences, etc. Students looking for admission in B.Tech course can apply through a state level exam (MH CET). Students can also apply for admission on the basis of JEE Main scores. Some reputed universities like Symbiosis International University Pune conduct their own entrance exam (SET) for providing admission. For admissions in IIT, candidates have to clear JEE Main & JEE Advanced examinations. Admission in the M.Tech programme will be done through GATE examination. There are various specializations are offered by engineering colleges in Maharashtra state. Some top specializations are Electrical Engineering, Civil Engineering, Mechanical Engineering, Chemical Engineering, Computer Science & Engineering and Electronics & Communication Engineering. For any other queries about Top Engineering Colleges in Maharashtra 2019, you may leave your queries below. what will be the exam for admission in Maharastra Engineering Colleges ?